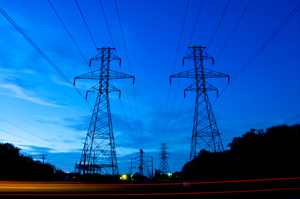 Oracle just released a study on challenges for utility companies when moving to smart grids, i.e. implementing some intelligence in monitoring customer energy consumption and providing consumption based differentiated tariff options. There is a general hype about the possibilities of utilities smart-grids in the Internet industry. So the summary of the study triggered some thoughts with a perspective of the telecommunications industry. Looking at the responses this is (1) almost completely about technology and (2) about saving or reducing costs. The technology is about installing smart meters at the consumer to give the more and flexible tariff options in order better control energy consumption. The Google approach: open the smart meter information with an API so that other could mesh-up and build applications on top of it. How could the information about the usage be used to create value for others? The Apple approach: create a convincing, end-to-end application around the smart meter that every consumer would want to have. The second point that is interesting is the proposal of the executives of how to move forward: sharing best practices, developing an information architecture and developing standards. Compared to Internet companies like Google, Amazon, Twitter, etc. who take the opportunity and run, established companies, in the telecommunication industry and here in the utility industry ask for standardization. The basic approach here is to reassure one another what the right way forward is, but other just take the action and eat the lunch. So it will be interesting to see who will take up the ball and come up with a clever business around smart-grids and utilities.